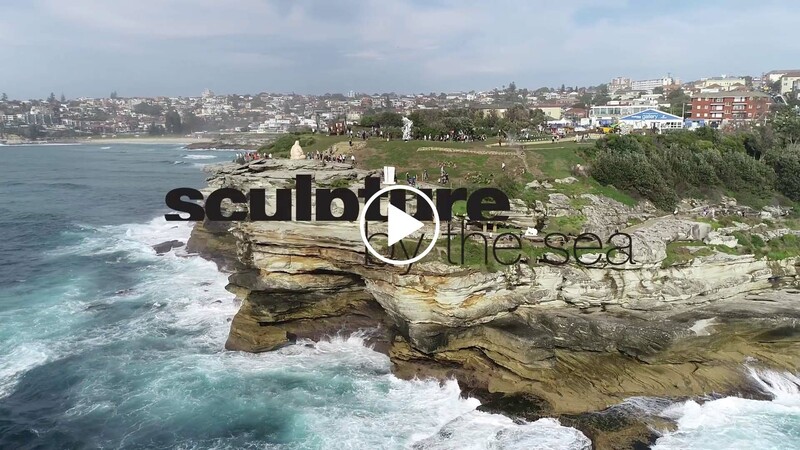 SYDNEY, Oct. 23, 2018 /PRNewswire/ -- Destination NSW has today released breathtaking aerial footage of Sculpture by the Sea, Bondi capturing the stunning outdoor sculpture exhibition on one of the world's most iconic beaches, Bondi Beach, Sydney. 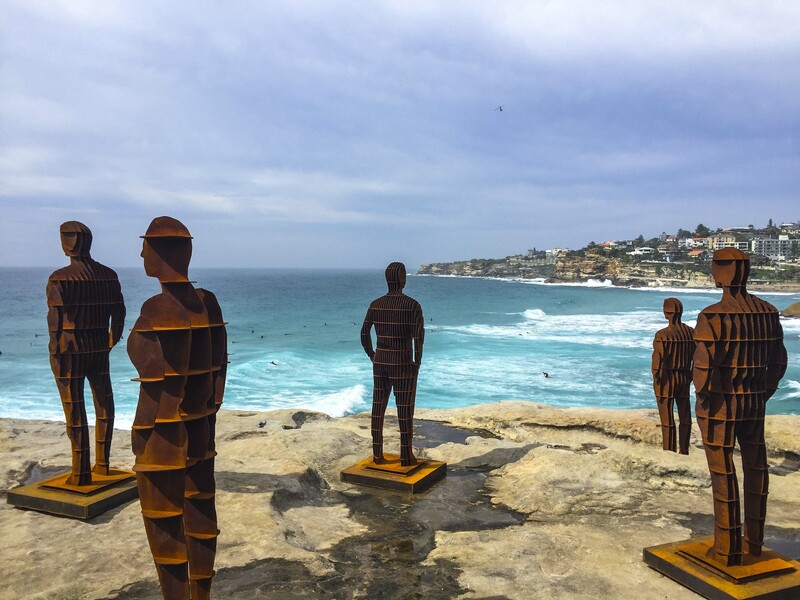 Sculpture by the Sea, Bondi, the world's largest annual free-to-the-public outdoor sculpture exhibition, transforms part of Sydney's coastline into a 2km long sculpture park and features over 100 sculptures by artists from Australia and across the world. 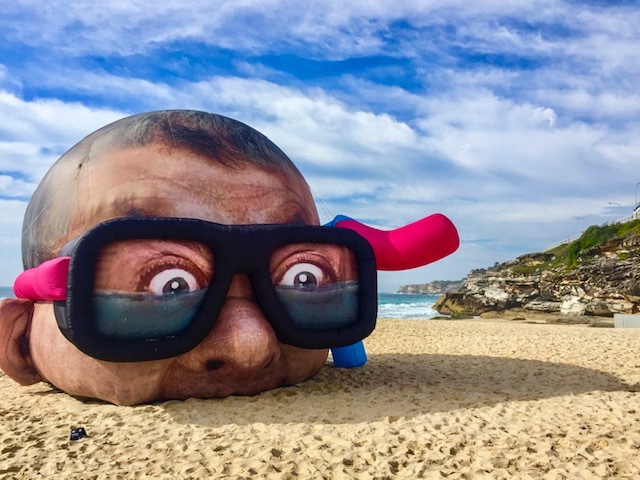 As one of Sydney's best attended (and photographed) events, Sculpture by the Sea, Bondi attracts approximately 450,000 visitors over the course of 18 days and signals the beginning of summer in Sydney. It is on now until 4 November 2018. 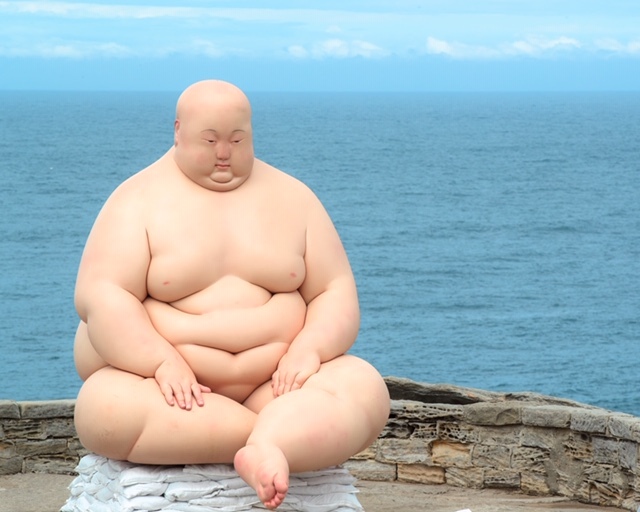 One highlight of the exhibition is a showcase of eight works by alumni from the leading Chinese art institution the Central Academy of Art (CAFA) in Beijing, including a 3m tall fleshy figure, Horizon by Mu Boyan, which sits on the south Bondi headland at Marks Park. The exhibition also features works from leading Australian sculptors Hossein Valamanesh, Ron Robertson-Swann OAM and Wendy Teakel. The exhibition is in its 22ⁿᵈ year – it began in 1997, a one-day event showing 64 sculptures and produced by volunteers out of a lounge room for a total budget of ,000 - 25,000 people attended. Destination NSW is the lead NSW Government agency for the State's tourism and major events industry and is responsible for devising and implementing strategies to grow the State's visitor economy. Our particular focus is driving tourism and acquiring and developing major sporting and cultural events for Sydney and regional NSW. In addition, Destination NSW is the major investor in Business Events Sydney with the aim of securing more international conventions, incentive travel reward programs, corporate events and exhibitions.